For some 20 years, the Tsilhqot’in Nation has been fighting a proposed open-pit copper and gold mine that threatens its traditional lands and sacred sites including Teztan Biny, or Fish Lake, in British Columbia. To their disappointment and frustration, the Canadian Environmental Assessment Agency announced on November 7, 2011, that it would accept a repackaged proposal for the previously rejected Prosperity Mine. The proposed mine site — which encompasses Teztan Biny, Yanah Biny (Little Fish Lake) and the surrounding area, called Nabas — is traditional Tsilhqot’in territory where the people have hunted, trapped, fished, collected medicinal plants, and shared their knowledge and history from generation to generation through cultural gatherings and ceremonies. The lakes are home to a genetically unique type of rainbow trout. They are also in the headwaters of the last major viable salmon run that comes up the Fraser River, and water in the area is pure enough that the people are able to drink directly the source — a testament to the protection the Tsilhqot’in have provided their traditional lands for generations. The area also provides important habitat for the threatened South Chilcotin grizzly bear. The provincial government had initially approved Taseko Mines Ltd.’s proposed open-pit mining project, but in November 2010 the Canadian environment minister said no, largely because the plan called for draining Teztan Biny and using it as a toxic tailings dump — posing unjustifiable potential threats to fish and grizzly bear habitat, navigation and First Nations culture and traditional use. While the new proposal “saves” Teztan Biny, it would still surround the lake with a massive open-pit mine, destroy Yanah Biny and the Nabas region, endanger the trout spawning grounds, and threaten Tsilhqot’in member homes and graves. The Tsilhqot’in National Government called the new proposal a “repackaged version” of a past option that was already determined to be inferior to the most recently rejected plan, and members are frustrated that they must now endure another lengthy and costly review process. Meanwhile, the mining company, to the dismay of First Nations members and conservationists, has already received exploration permits to begin building 15 miles of roads and dig dozens of test pits and drill holes in the proposed project area. In April 2015, Marilyn Baptiste won the Goldman Environmental Prize for North America for her one-person blockade of drilling equipment, for her years of leadership fighting what could be the largest mine ever in British Columbia, and for her work to create a Tribal Park around Teztan Biny. RAVEN (Respecting Aboriginal Values and Environmental Needs) posted a full update in summer 2014. A summary: On February 26, 2014, the Minister of the Environment, Hon. Leona Aglukkaq, issued a decision on the New Prosperity Mine, concluding it would cause “significant adverse environmental effects that cannot be mitigated…therefore the project may not proceed.” There will now be two judicial reviews and Taseko indicates they intend to move ahead and have filed a lawsuit to set aside findings against the mine. Judicial review is underway. 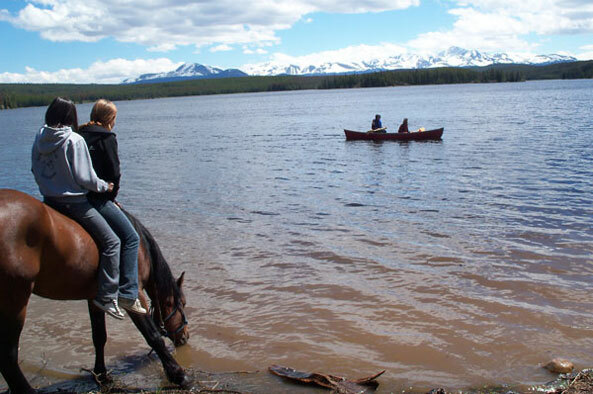 Blue Gold: The Tsilhqot’in Fight for Teztan Biny (Fish Lake), a film by Susan Smitten (2010). Canadian Environmental Assessment Agency. “New Prosperity Gold-Copper Mine Project to Be Assessed by Federal Review Panle.” News release, November 7, 2011. Canadian Press. “B.C. First Nation Wins Injunction Against Work by Taseko on Mining Project.” Canadian Business, December 2, 2011. Federal Review Panel. Report of the Federal Review Panel Established by the Minister of the Environment: Taseko Mines Limited’s Prosperity Gold-Copper Mine Project. Ottawa: Canadian Environmental Assessment Agency, 2010. Taseko Mines Limited. New Prosperity Gold-Copper Project. Project description, August 2011.